High Blood Pressure is an ailment that affects many people all over the world. As many of you know, things like eating habits, stress, smoking, obesity, and alcohol can affect your High Blood Pressure. There are many ways to control this Condition, besides the use of conventional methods, such as doctor prescribed medications. In this blog I will give you 4 must have herbs and some tips that can help you naturally control your blood pressure. The following herbs have been shown to help control High Blood Pressure. Garlic has been shown to dramatically help lower blood pressure. Garlic contains small amounts of Selenium which have been known to prevent abnormal blood clotting, as well as normalize blood pressure and clear the body of infections. Garlic is also known for containing Geranium, which is has been shown to help prevent blood clotting due to the amounts of Allicin. 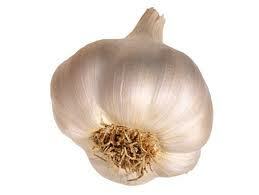 Garlic has been utilized since the time of the Egyptians, they used it for it’s awesome energy inhibiting effects. In those times it was more of a way to keep your blood going during rigorous activities. 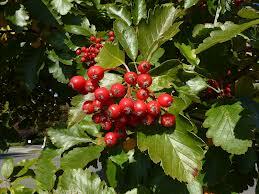 Hawthorn is excellent for the heart, and is known to be a mild coronary vasodilator. Meaning it helps the heart to function properly by regulating blood supply to the heart and decreasing spasms, shortness of breath and other common ailments. Hawthorn has been shown to help restore a normal pulse and lower the diastolic pressure. Cinnamon has been known to effectively lower blood glucose as well as blood pressure in middle age and older indi viduals. 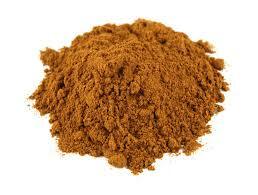 Studies have shown that consuming cinnamon on a daily basis can lower both diastolic and systolic blood pressure. 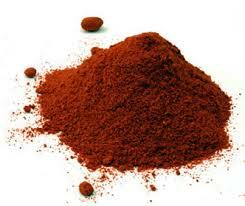 It has also been shown too help lower blood sugar and insulin response within the body over a period time. 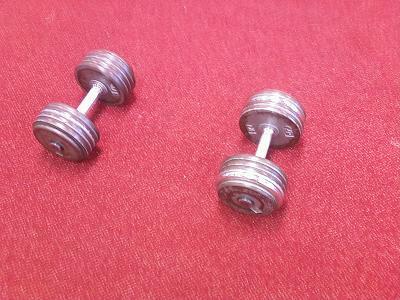 It also helps restore balance within your system creating a positive effect towards weight loss efforts. Cayenne has been known to improve blood circulation and enhance cardiovascular performance by helping blood platelets from clumping together, therefore improving blood flow. Some studies have shown that it actually can open up already clogged arteries, and is also very beneficial to the overall heart function. It can help lower triglycerides as well as lower the bad cholesterol and can stimulate metabolism for effective weight loss. If you're already taking any prescription medications, be sure to check with your doctor or a medical professional to see if the medications may conflict with these herbs. Always follow the directions and do not overuse them too try and get a better effect. You can dramatically lower your blood pressure with at least 30-60 minutes of exercise daily. This is doesn’t mean you have to become a navy seal, you just have to get out and walk, ride a bike or be active for at least 30 -60 minutes a day. Be sure that if you’re going to work out, to supplement your fluid intake with water and not sodas or juices. Some people believe that by eliminating regular soda and going to diet or juices that it will be better for them. The truth is that diet sodas can be worse for you than regular sodas. The same can be said for fruit juices, you have to be careful what kind of juice you drink. Do your research beforehand, because some juices are full of sugar and non-natural preservatives. Be sure to buy organic or real juice and make sure that it doesn’t conflict with any medications or herbs you’re currently supplementing with. Stop eating a fast food restaurants and eliminate the sodas and high sugary drinks. Eat more greens,vegetables and drink more water daily. You don’t have to totally switch from one day too the next, but rather take small steps. If you drink 5 sodas a day, cut it down too 1-2, then eventually wean yourself off of it completely. Same for fast food, if you must eat out go for healthier alternatives. Most restaurants have a dieters menu in which you can pick up low carb and calorie options. Do not depend on diet soda, it’s just as bad if not worse then regular soda. Reduce the amount of sodium you intake daily, by doing so you will lower your blood pressure. look for other alternatives to spice up your food, and if you must have salt increase your water intake. Processed foods are high in sodium, so be sure to check out the labels on food products before you purchase them. Eat all natural and organic food and produce, and stay away from any smoked foods like jerky, they’re usually high in salt. Stress can actually increase your blood pressure leading to disastrous results. So if yrou a stressed out person, find ways to alleviate the stress. Take walks, learn how too breath properly, take a yoga class, do anything that will get your mind of the stresses at hand. Its not rocket science, smoking and drinking are major causes for High Blood Pressure. Slowly get yourself off of it anyway you can. IF you drink, try too lessen the amount that you drink. Regulate the amount of alcohol you intake on a regular basis and look for healthier alternatives for smoking like chewing a cinnamon stick or some all natural gum. Rememeber the advice stated above is not a quick fix. You must develop a plan and stick to it in order to see and feel the results you desire. Also be sure to do your own research on ways to lower the pressure, and test different methods and supplements out to see which one works best for you. GREAT VIDEO ON HOW TO LOWER YOUR BLOOD PRESSURE NATURALLY!